In the wake of the tragic shooting in Ferguson, videos of the police being recorded by regular citizens are gaining popularity. In many of the videos, the police order the person recording to stop filming. This begs the question: are you allowed to record the police? Yes, you do have the right to record the police. When you are in public, you have the right to record the police while they are on duty. Despite this, the police are still known to harass, intimidate, and even arrest citizens for recording them. So what should you do? First, you need to know your rights. You have a constitutional right to record the police in public, but if you are going to, make sure you do it properly and you know your rights. You have the constitutional right. It is a violation of your First Amendment rights if law enforcement orders you to stop filming, or obstructs/interferes with your recording. No surreptitious recordings. Recording private conversations without consent is illegal. If you are going to record, make sure to record openly and not secretly. Allow the police to do their job. 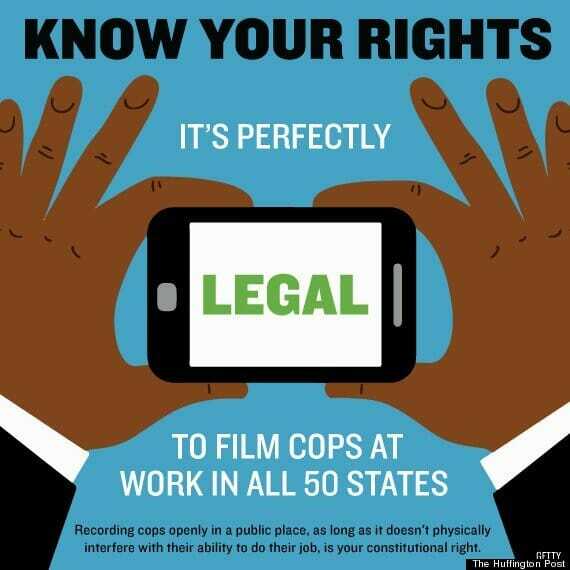 You have a right to record the police, but you do not have the right to interfere with their ability to do their job. If the police tell you to stand back, then stand back a reasonable distance. Am I free to leave? You have the right not to be detained. You can only be detained lawfully if the police have reasonable suspicion that crime is afoot. Ask the police officer if you are free to leave. If he says no, ask why not. Otherwise, you are free to leave and go about your business. These pictures are private. You are not required to give the police your phone so they can see what you have recorded. In Riley v. California, the Supreme Court held that the police must have a warrant in order to search your cell phone, even if you are being lawfully arrested. Even though you do have the constitutional right to record the police, these rights are often not respected by the police. To prepare yourself, here are a few things you can do if you ever find yourself in this situation. Assert your right. Politely inform the police that it is your constitutional right to film them and that you are not interfering with their duties. Make it obvious. Indicate that you are both videotaping and audiotaping. It is illegal to surreptitiously record conversations without consent. Understand that the police might violate your civil rights, but they might have to pay for it. If the police insist that you turn off the camera, understand that it is your civil right to record the police, but you may be arrested for civil disobedience or wiretapping if you refuse to comply. Note that in many instances, citizens who were arrested for filming the police have won lawsuits against the police department for violating their civil rights (e.g. $57,500 to a woman in New Hampshire who was arrested for recording the police on charges of wiretapping, $200,000 to a photojournalist in New York who was arrested for recording the police on charges of obstruction of justice, $125,000 to a man in New York who was arrested for recording a stop and frisk encounter.). Don’t share photos. If the police demand that you hand over your cell phone, know that it is your right to deny the search. The Supreme Court has held that cell phone users have a right to privacy to the contents of their phone if the police do not have a search warrant. Know the risks. If the police tell you that you will be arrested if you don’t turn your camera off, be prepared to be arrested if you don’t comply. If you decide to continue recording and do get arrested, make sure to stay calm, don’t resist arrest, try to continue filming, and remain silent. If you’ve been arrested for recording the police, your civil rights may have been violated. You need to call an attorney as soon as possible. Lem Garcia Law can help you with any questions you may have and can help you get what you deserve. Your civil rights are important and its even more important that you fight for them. Call Lem Garcia today: (626) 337-1111.